Note: This issue has been resolved as of version 9.1. The "You are currently in Edit mode. Please either save/update or cancel." message pops up after you log in the workarea. This does not occur when you are editing content. We have seen this in versions 8.7, 8.7SP1, 8.7SP2, 9.0 and 9.0SP1. To work around this, follow these steps. 2. Start and stop the Ektron Windows Service (EWS). To do this, click the Start button and Services in the Search programs and files block. Click the Services app after it appears. 3. 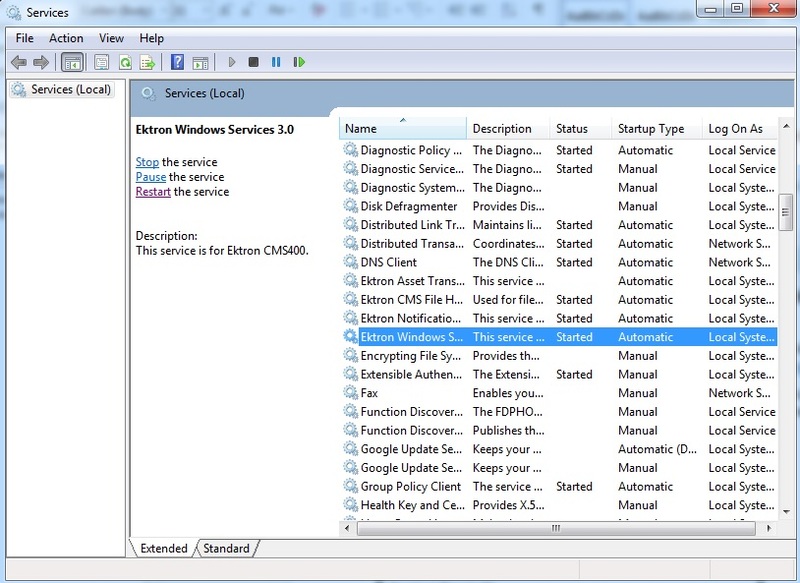 When the Services app opens, select Ektron Windows Services 4.0. 4. Click Stop. When finished, click Start. Close this window. 5 Recycle the app pool. To do this, go to Windows Explorer and enter IIS. 6. 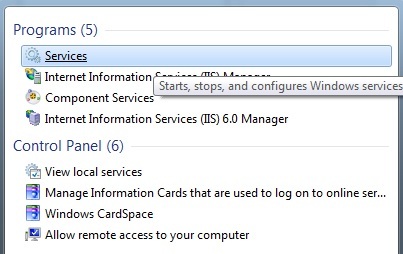 Select IIS Manager. Then select Application Pools, the site on which you're seeing the issue, and click recycle. Log in to the workarea and see if the error is gone. If not, proceed to the next step. 7. Open the web site root folder's web.config file using Notepad (run as admin). 9. Save the file and log in again.